Thanksgiving happened! I helped my mom by making the green bean casserole, peeling potatoes, forming the rolls, confirming that turkey was getting a nice bronze tan, and by making this cheesecake. My mom loves cheesecake, so I figured she’d be the perfect lady to hang out with and bake my first real one. I mean, I’ve made mini’s before and cupcakes before, but this was the real deal … 2 pounds of cream cheese, baked in a 9″ springform; REAL. My mom and I made this first thing Wednesday morning. I wanted this out of the way so I could spend the rest of the time crossing my fingers that it’d be dreamy. We wanted it in the fridge chillin’. We wanted it to have plenty of time to firm up. And you know what? It was tasty! I was thankful for that. 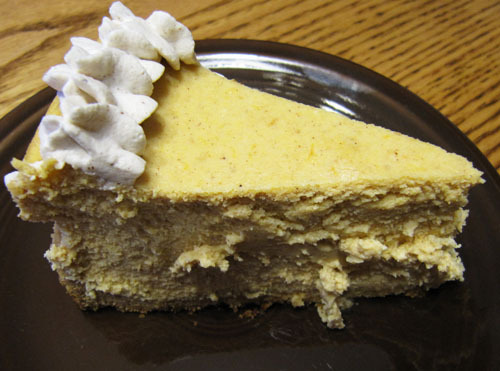 So next time your dreaming about pumpkin and want to get jiggy with a cheesecake, this is just the treat for you. But make sure to have lots of people over because it’s the kind of thing you might want to sneak in the middle of the night. I won’t judge you if you do, though. Preheat oven to 450°F. Crush 2 cups worth of graham crackers into a medium bowl. Stir in the ginger and then stir in the melted butter so that every single crumb gets butter-love. 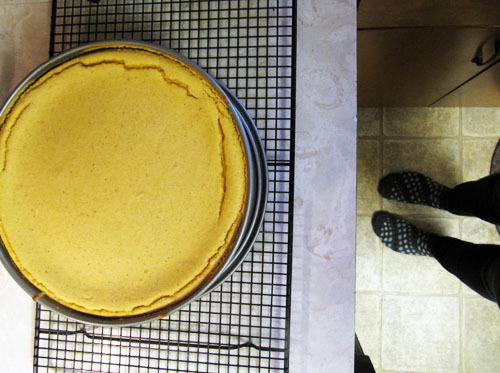 Press crumb mixture into the bottom and slightly up the sides of a 9″ springform pan (like below). Stick the pan in the freezer and make the cheesecake batter so that the butter will firm up and the crust will be firm when filled. In a large bowl, beat the cream cheese until fluffy, about 2 minutes. Beat in the sugars and spices. Add in the eggs beating one at a time, beating well after each addition. Beat in the sour cream and pumpkin. Taste and see if you need any more spices. 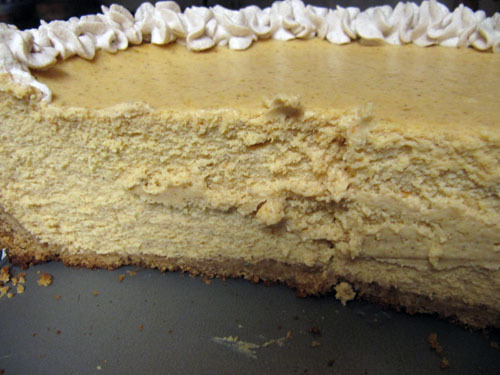 Pour batter into the graham cracker crust and smooth out the top. Bake 15 minutes (at 450°F), then open the door and lower the temperature to 200°F (it takes about 10 minutes, just in case your oven doesn’t tell you things like that). Close the door and continue baking about an hour or until the edges of the cheesecake are set, but the center still wiggles when the pan is shaken. Cool the cheesecake on a rack until room temperature. Cover with plastic wrap and refrigerate for at least 3 hours or overnight. Remove from the springform pan and pipe Maple Cinnamon Whipped Cream around the crackled edges. Slice and eat! My mom likes to paint her walls the color of this cheesecake. * If you don’t have maple flavoring, then just add more maple syrup or just drizzle maple syrup over the sweetened whipped cream when serving. Beat heavy cream until soft peaks form. Add the maple syrup, flavoring, cinnamon and powdered sugar. Beat until combined and peaks are a bit firmer. Pipe to cover cheesecake crackles. This is the middle. I want to take a bite out if it. Where was this recipe on Tuesday when I needed it?? Just teasing. 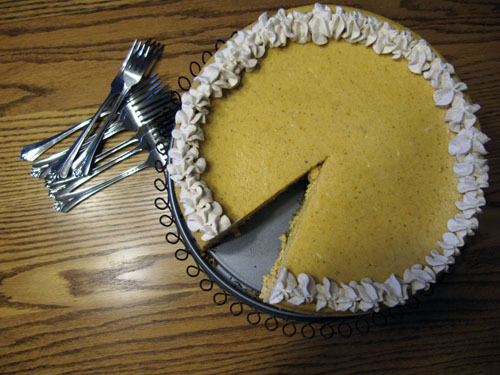 I found a suitable recipe and also made a pumpkin cheesecake. Delicious! Kimberly! I know! 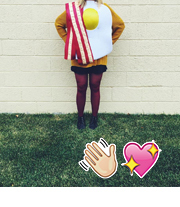 Ideally this recipe would’ve been up before Thanksgiving. I bet the one you made was awesome. Thanks Jacy! You’re right, cheesecake is the very best. I have to say…. this was wonderful, dreamy, rich and delightful!!! Soooo good!!! Plus it was fun just hang out in the kitchen together.. wish we could do it MORE!! I wish we could too, Mum! 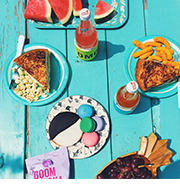 Ate it… loved it… think I should make one here. maple cinnamon whipped cream sounds too good to be true. Megan, I’ve totally been dreaming about this since you posted, and now it’s chilling in my fridge just waiting for tonight and I really, really hope you can come over and try it out and that it tastes as good as yours looks! 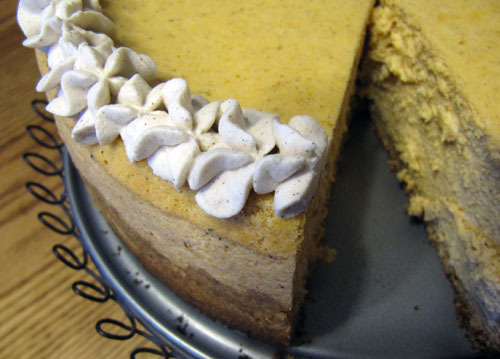 I’m not a lover of cheesecake by any means, but I saw this recipe and have a warm and fuzzy feeling for all things pumpkin. So, for Thanksgiving last year I gave this a go. First off, this cheesecake was absolutely beautiful, and the whipped cream around the edges added a cute touch. Food can be cute, right? 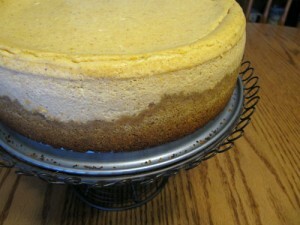 Everyone loved this cheesecake so much that I’m making it again for this Thanksgiving as well :). So, thank you! You’ve won me over with cheesecake.